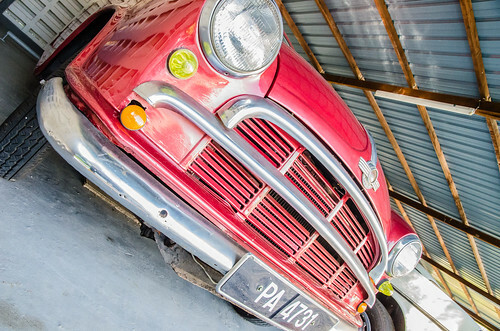 Tanjung Sepat is one of the popular town in Selangor for a one day trip. 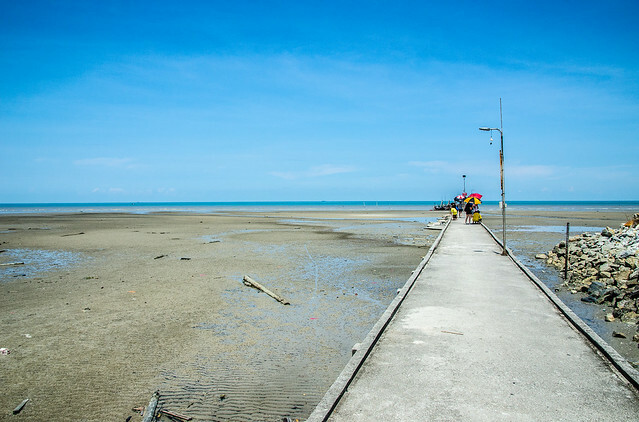 Since we got a one day holiday on this year’s Wesak Day and don’t know where to go, we decided to go to Tanjung Sepat for a one day trip. 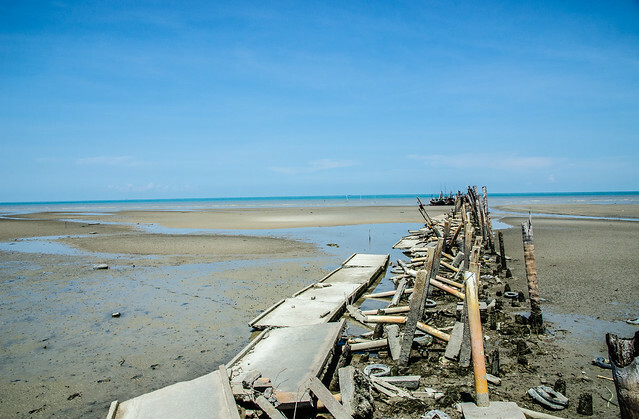 Tanjung Sepat is a fishing village and also a small town in Kuala Langat district in Selangor, Malaysia. Since it is only one day, we couldn’t visit all the places and choose just a few of them. Here is a nice map showing most of the places in Tanjung Sepat: Map Link. 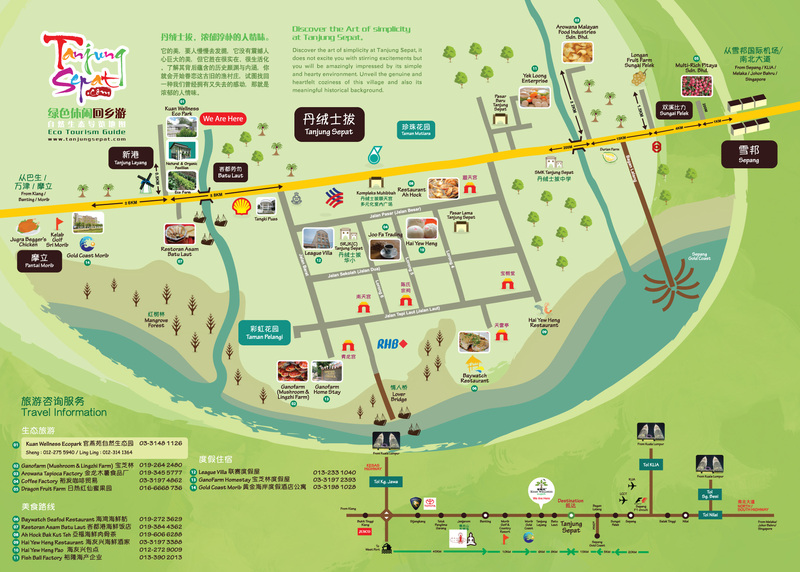 You can get the print out of this map easily in the shops at Tanjung Sepat. 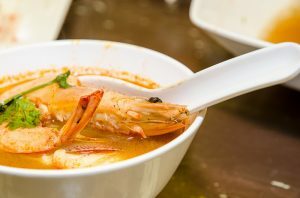 Continue to read by blog post of where we went and what we ate in Tanjung Sepat. 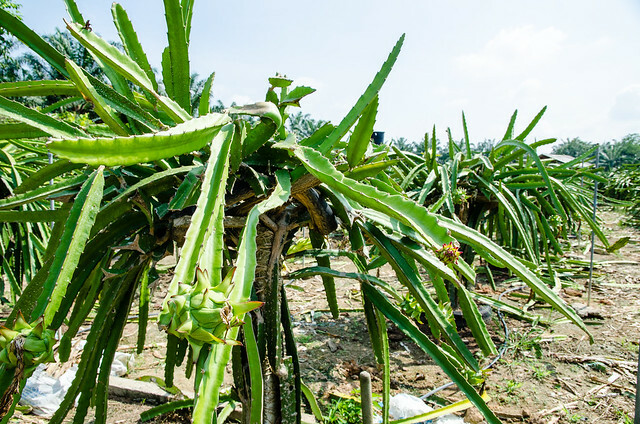 The first place that we visited is a dragon fruit farm which is called Multi-Rich Pitaya Sdn. Bhd. If you never see a dragon fruit or the plant before, you can come here to experience it but there is not much to see here as it is just dragon fruit plant. 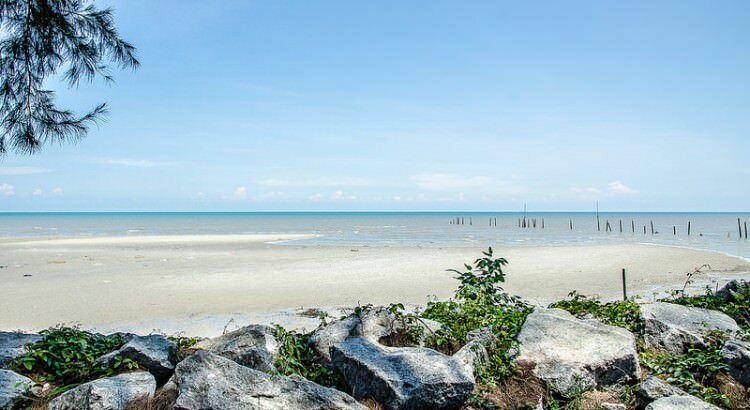 If you have seen it, I would recommend to skip this place to save time for other places in Tanjung Sepat. 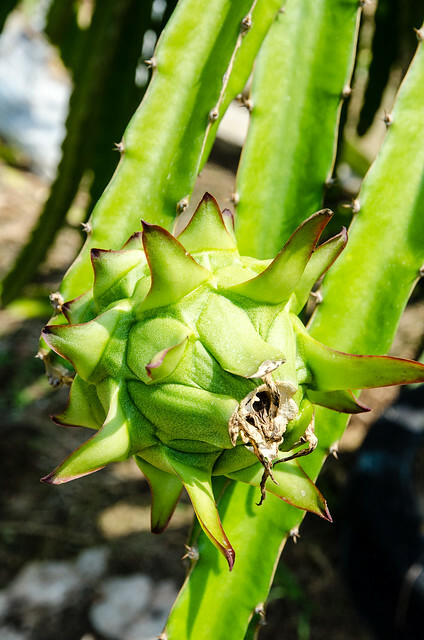 The dragon fruit plant, looks like cactus with its thorns. The dragon fruit in the making, still in green color. 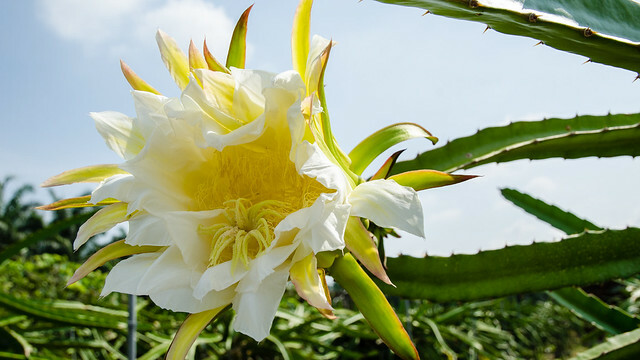 So, this is the dragon fruit flower. So big and so bright. 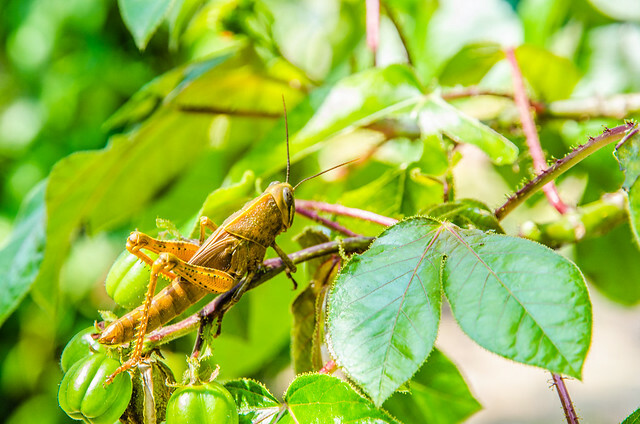 Spotted this huge grasshopper resting on a tree branch. 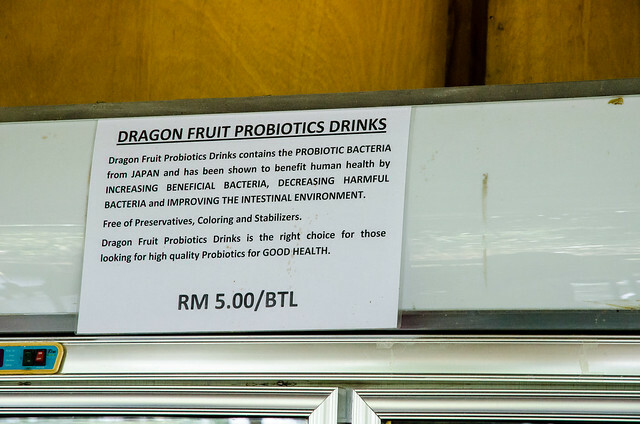 Multi-Rich Pitaya also sells dragon fruit probiotics drinks which can help to increase the good bacteria in our stomach and improve our intestinal environment. We didn’t try this as the ice cream looks more delicious. The dragon fruit ice cream. Very light dragon fruit taste and not too sweet. We didn’t spend long time here and we went to find our lunch spot which is a Bak Kut Teh shop, Restaurant Ah Hock. 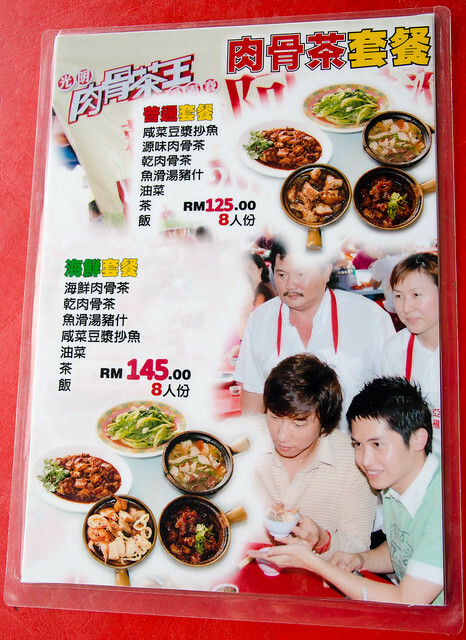 This restaurant only opens for lunch and we were almost late for our Bak Kut Teh. We managed to call the boss and luckily they were expecting some tourists group so they still can serve us. 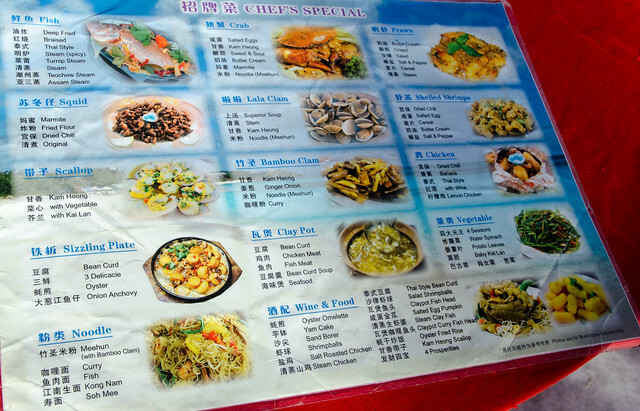 Restaurant Ah Hock, easily found with Waze. 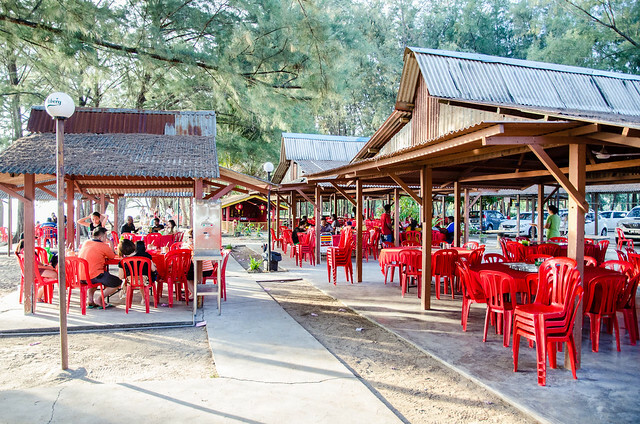 It is one of the popular lunch place for tourists in Tanjung Sepat. There is a Chinese temple beside it but I’m not sure how many temples are there at Tanjung Sepat. 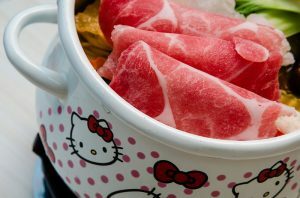 The set meals with the Bak Kut Teh for 8 persons. 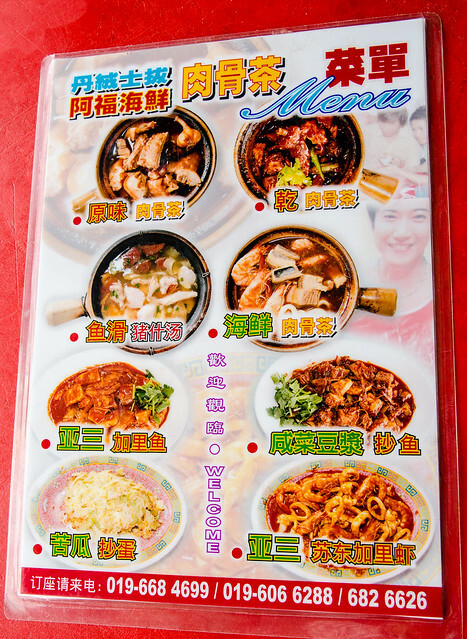 The dishes of Restaurant Ah Hock with the phone number to call. We couldn’t try all the dishes. 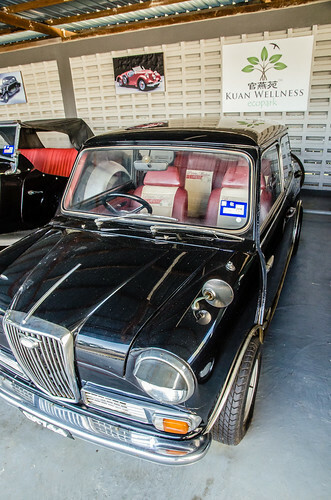 Perhaps next time if we visit Tanjung Sepat again. 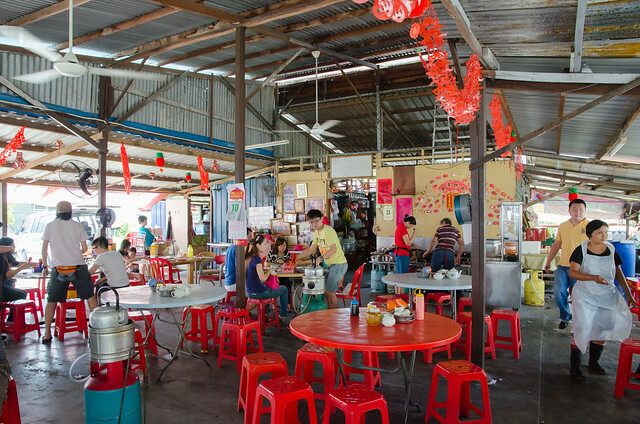 The interior of the Restaurant Ah Hock. It is an open area and can be quite hot during the lunch, so find a table near the fan. 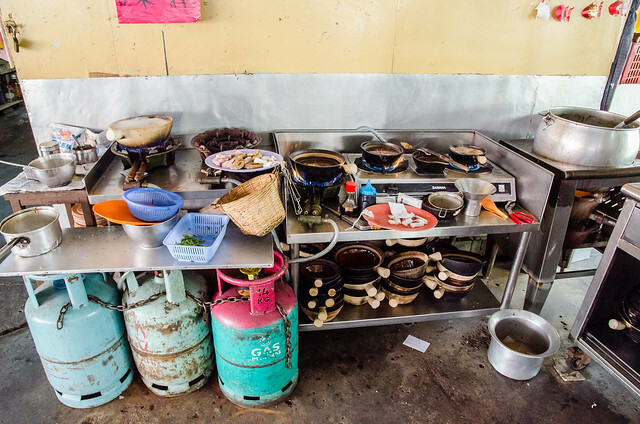 This is the place where they prepare your Bak Kut Teh. 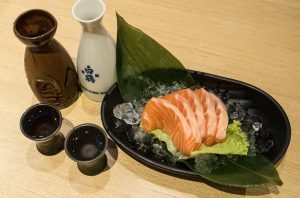 We ordered this fish slices which is fresh and nice. 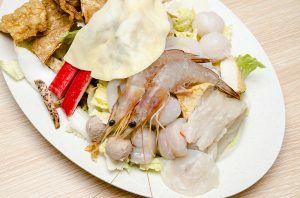 Recommended dish besides the Bak Kut Teh at Restaurant Ah Hock, Tanjung Sepat. 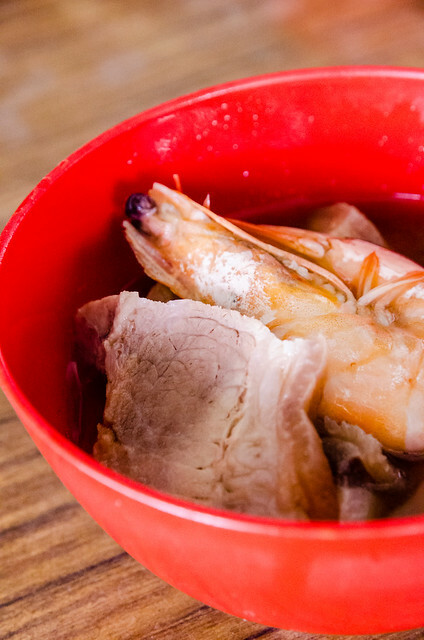 We also ordered the seafood and pork Bak Kut Teh, a combination that is hard to find in KL or PJ area. 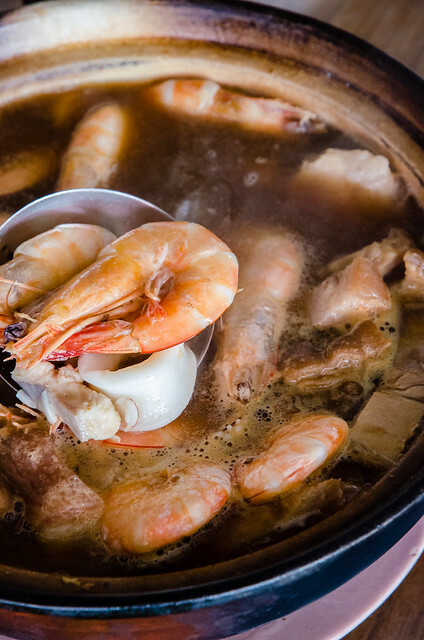 The combination of pork and fresh prawn in the aromatic Bak Kut Teh. 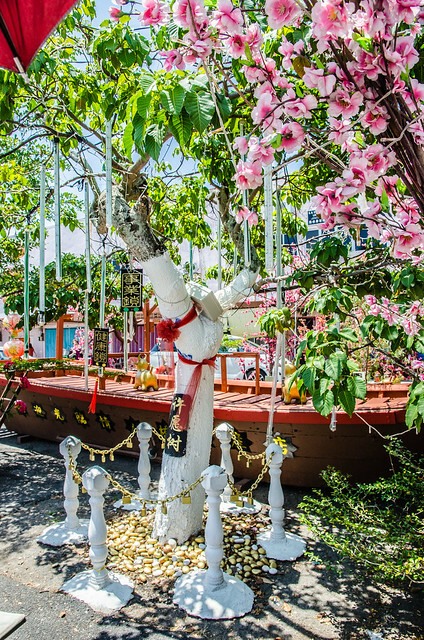 After delicious lunch at Restoran Ah Hock, we continue our journey to the Lover’s Bridge which is the main attraction at Tanjung Sepat and one of the reasons why we are here. 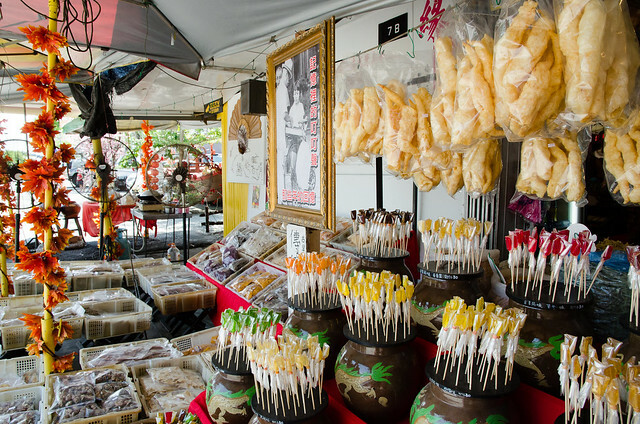 On the way to the Lover’s Bridge, we spotted this grocery shop which sell many traditional food. 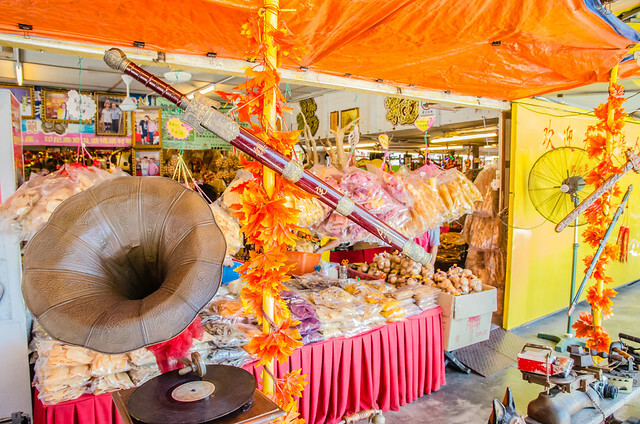 This shop selling some ancient stuffs such this Chinese sword and gramophone. Wonder if the swords are real sword from the great dynasty of China. Chinese wine are also available here in big bottles, like those from GO Noodle House (有間麵館). Many kinds of Coke bottles. 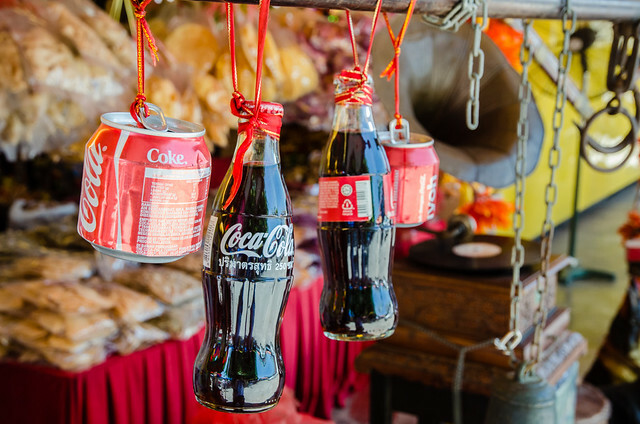 If you collect cokes bottles, this is the place to get more collection. This is the Lover’s Bridge which is very long into the sea, for the fishermen to get to their boat. We didn’t meet any fishermen today. A beautiful view from the Lover’s Bridge. 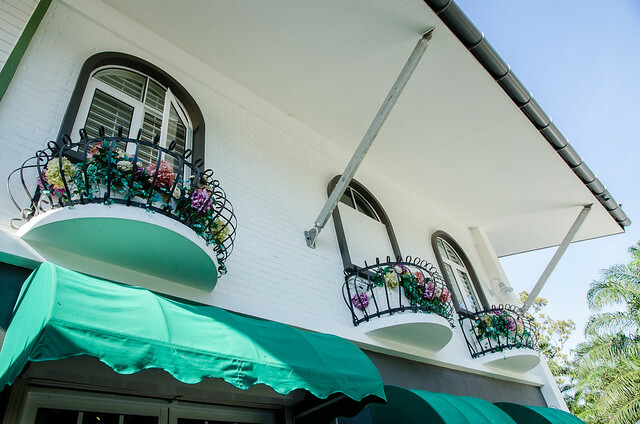 The weather that day is very nice and sunny. 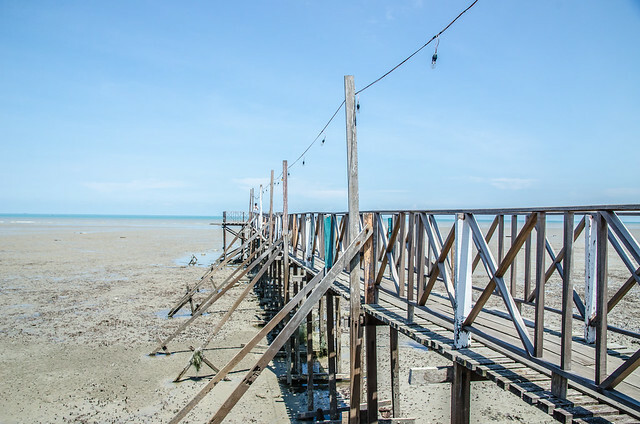 Do wear sun block or bring an umbrella if you plan to come to visit Tanjung Sepat’s Lover’s Bridge. Unfortunately the wooden part of the Lover’s Bridge has collapsed and we couldn’t go any further. Hope they will rebuild the bridge. We saw another wooden bridge and decided to go over there. On the way we spotted this decorated bicycle. 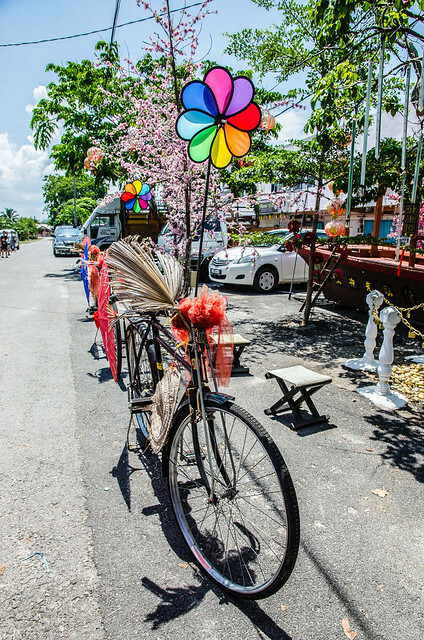 Not sure if they are for some events in Tanjung Sepat? We also saw this decorated tree. Maybe this tree has some special meaning? 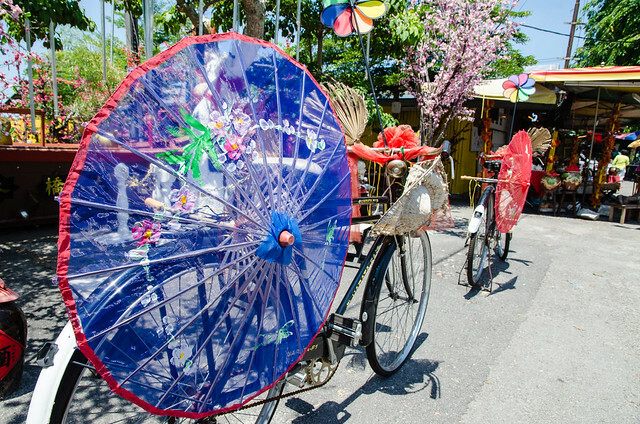 More decorated colorful bicycles with traditional Chinese umbrella. 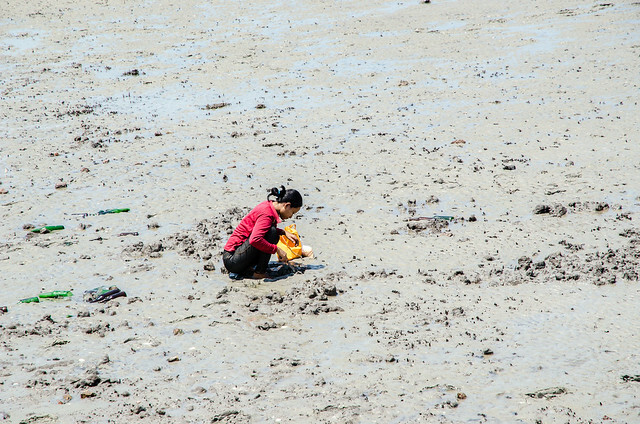 A local Tanjung Sepat girl looking for seafood, can’t really see what it is. 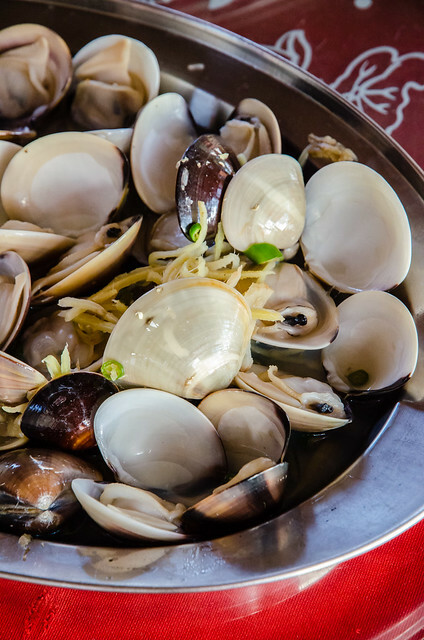 Perhaps it is the bamboo snail that we eat at a steamboat restaurant? 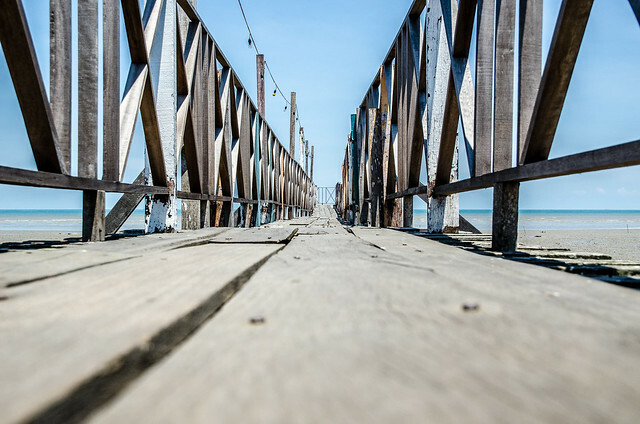 A long wooden bridge stretching out into the sea. It is a lot of walking in Tanjung Sepat, do wear a pair of comfortable shoes. 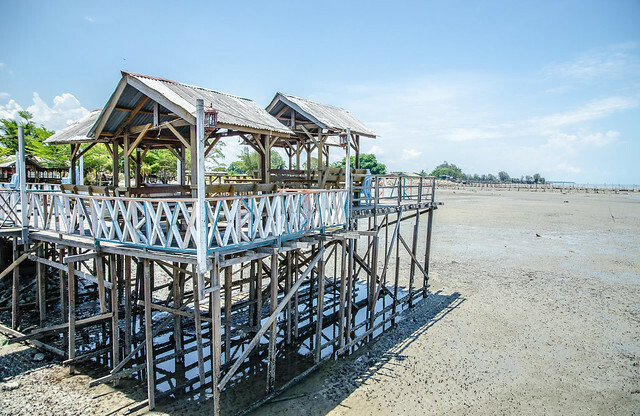 If not mistaken these wooden huts belong to a seafood restaurant here. Must be nice sitting here eating dinner and enjoying the sea breeze. A view of the wooden bridge. Nice spot for photography. Laupoh and me posing on the wooden bridge. 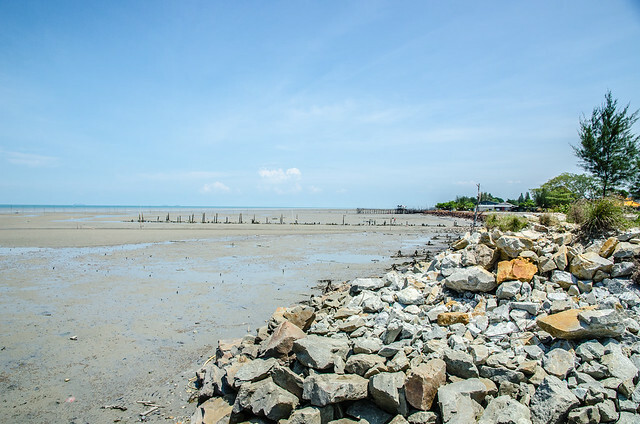 After spending around 1 hour here playing on the bridges, we went to our second reason of driving to Tanjung Sepat. 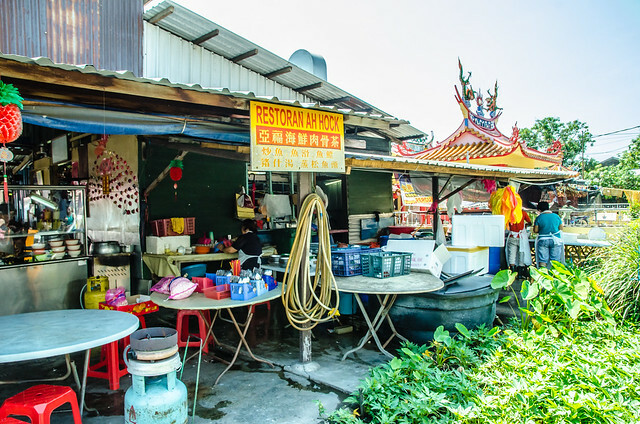 The Perniagaan Pau – Hai Yew Heng (海友兴手工海南包) is a very famous pau (Chinese steamed bun) shop here in Tanjung Sepat and do expect a long queue of people buying fresh pau. 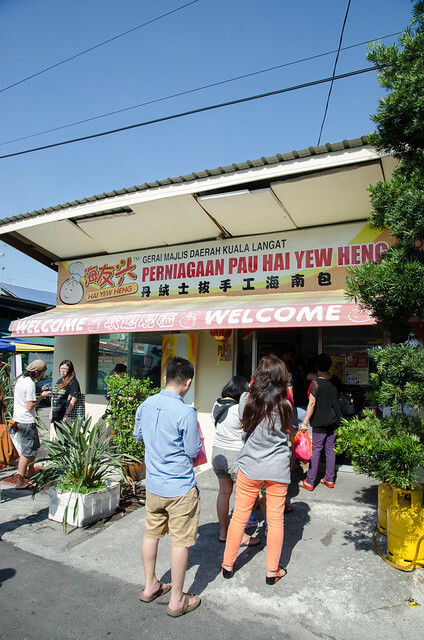 The long queue at Perniagaan Pau – Hai Yew Heng. 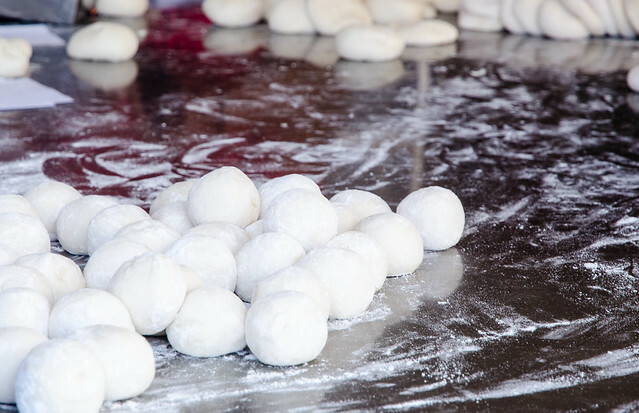 It is totally worth our time because the steamed buns are very nice. 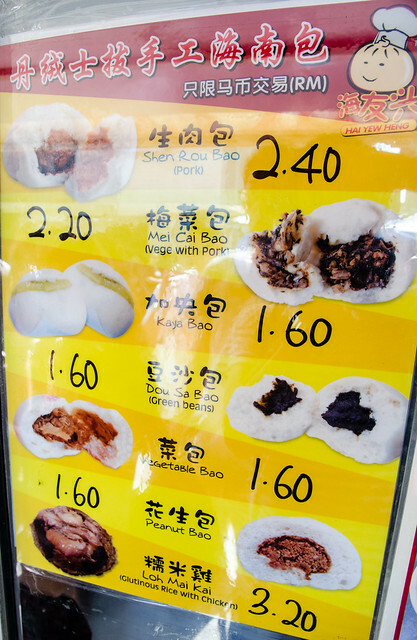 The menu and the price for the bao at Perniagaan Pau – Hai Yew Heng. 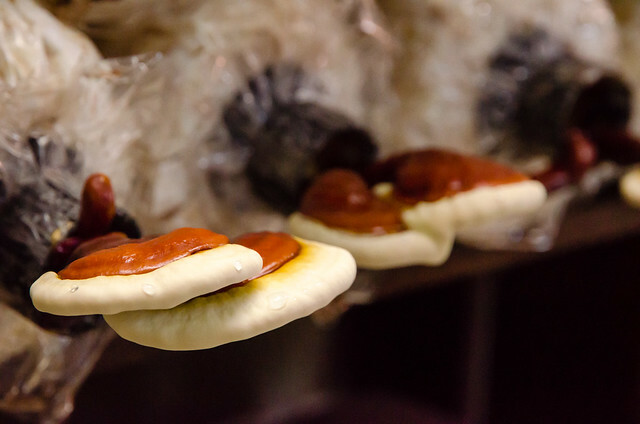 Perniagaan Pau – Hai Yew Heng shop sells five types of filling. Got Mei Chai Bao which is preserved vegetable (my favourite here), Shen Rou Bao (Pork Meat filling), Dou Sa Bao (Green Beans), Kaya Bao, Vegetable Bao and Peanut Bao. They also sell Loh Mai Kai (glutinous rice with chicken) but we came here for the pau. There is this opening area for customer to watch the pau in the making. 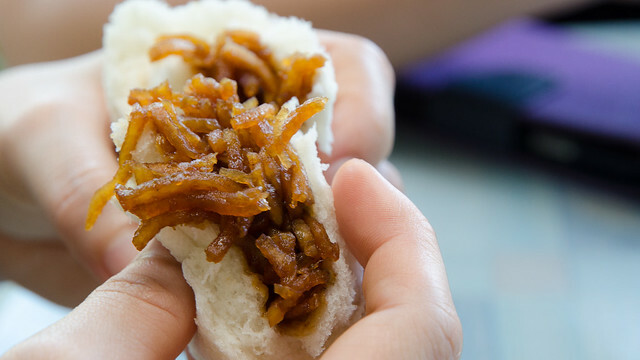 The pau filling are filled into the pau with hand. Thus, the hand-made pau. 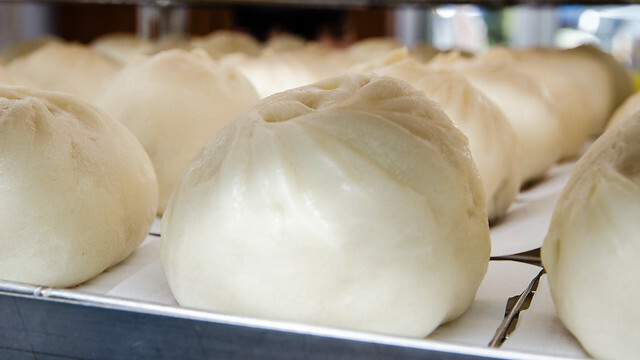 Freshly steamed pau from the kitchen. 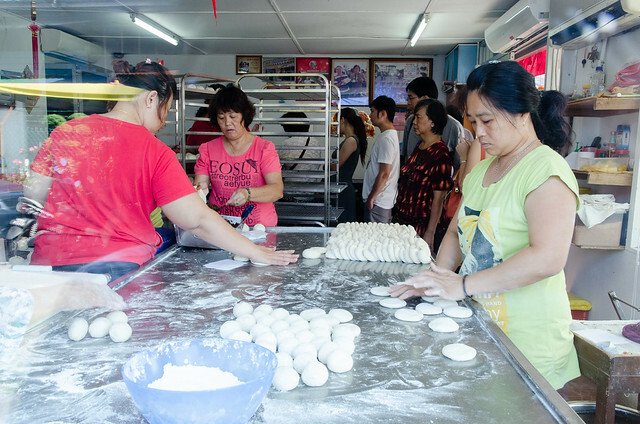 The pau making is non-stop as there are so many customers. The skinless pau. 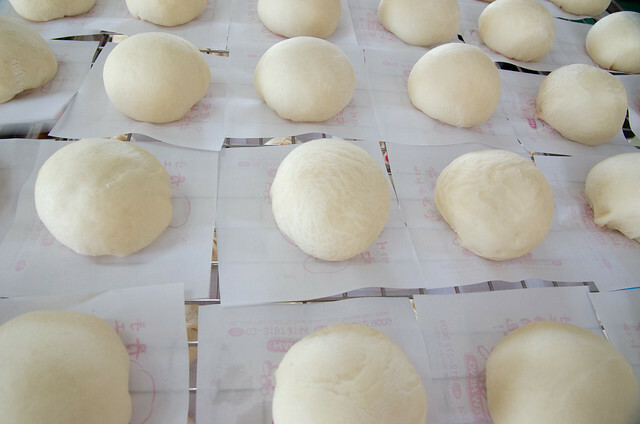 Just kidding, it is a habit to remove the skin from the pau due to hygiene issue. 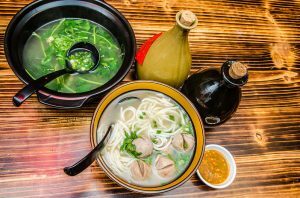 The vegetable pau, very delicious is eaten hot and fresh. 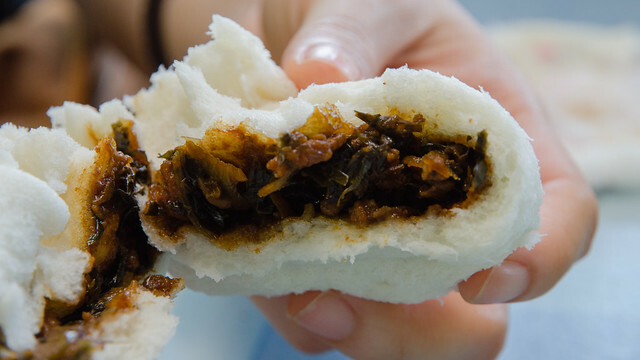 The mui choy pau (preserved vegetable), couldn’t find this kind of filling in KL or PJ. Very nice indeed. Our next destination is the GanoFarm Sdn Bhd. 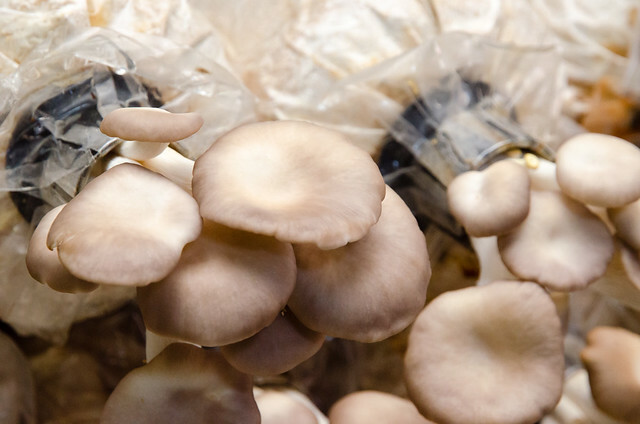 GanoFarm is a mushroom business place and has been in business for more than 25 years. 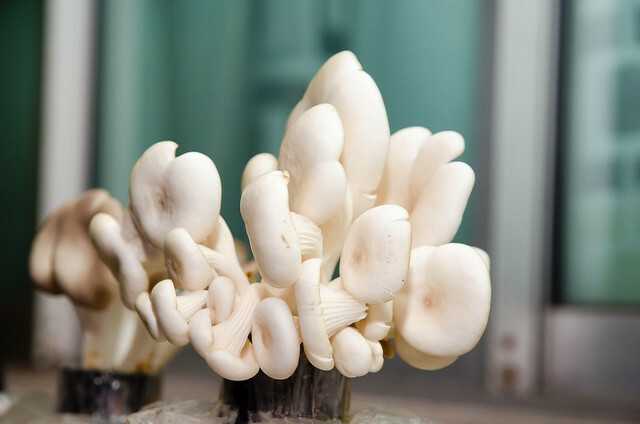 They are one of the leading companies in mushroom products in Malaysia. 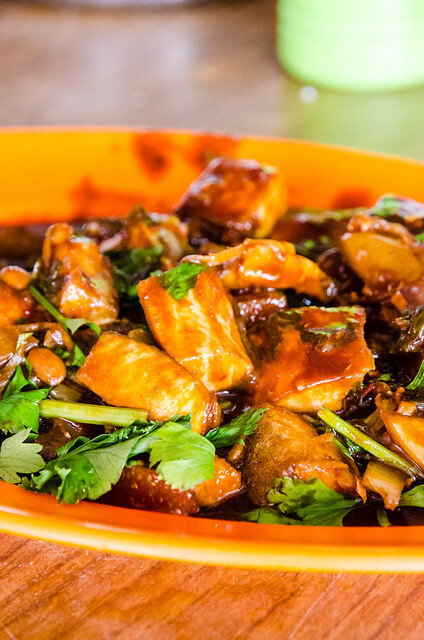 There are many types of mushroom here such as the expensive Ling Zhi Mushroom with a lot of health benefits, the Abalone Mushroom which we eat with steamboat, Monkey Head Mushroom and Black Jelly Mushroom. GanoFarm also sells healthy mushroom juice which is low sugar, no coloring and no preservative. 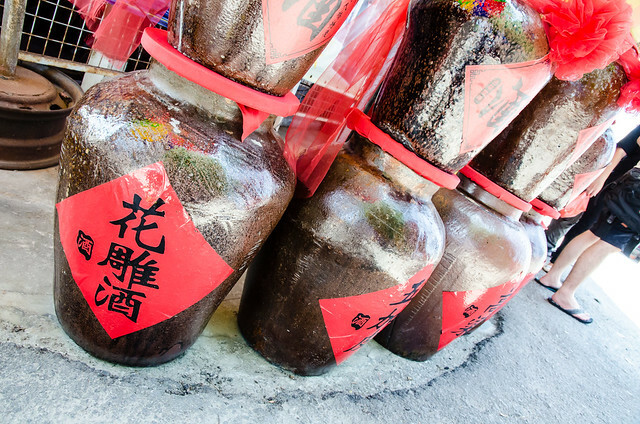 Since we never get to try mushroom juice, so we get a bottle of Ling Zhi drink. Tasted really bitter but I guess it is good for health. 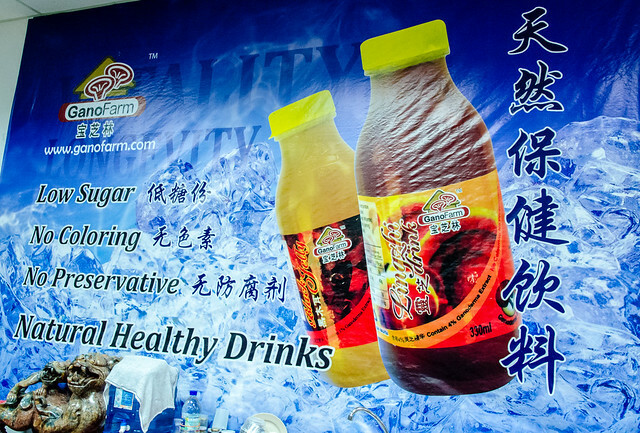 According to the banner below, Ling Zhi can protect the liver and it is anti-oxidant, anti-allergic, anti-viral, anti-bacteria and anti-inflammatory. Wow, so many anti no wonder it is so bitter. 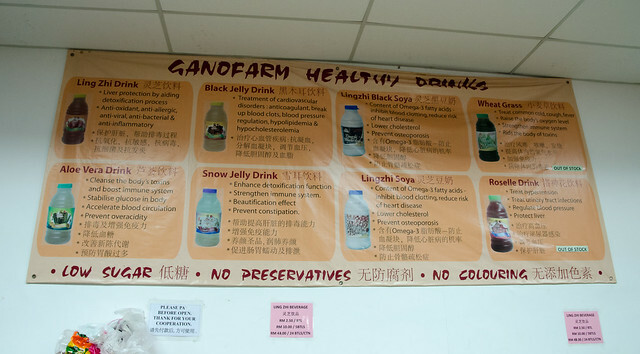 All kind of healthy drink at GanoFarm such as Ling Zhi, Black Jelly, Wheat Grass, Snow Jelly, Aloe Vera and Roselle. I think this is Abalone Mushroom. This mushroom should be Lingzhi Mushroom (Ganoderma lucidium). Not sure what mushroom type is this. Looks like younger Abalone Mushroom. 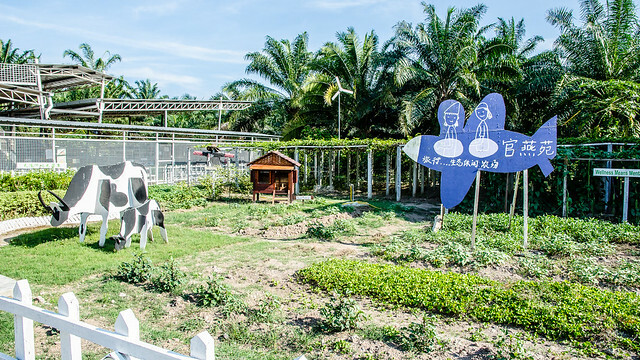 Our next stop is the Kuan Wellness Ecopark, which promotes Green Heart, Green Life. 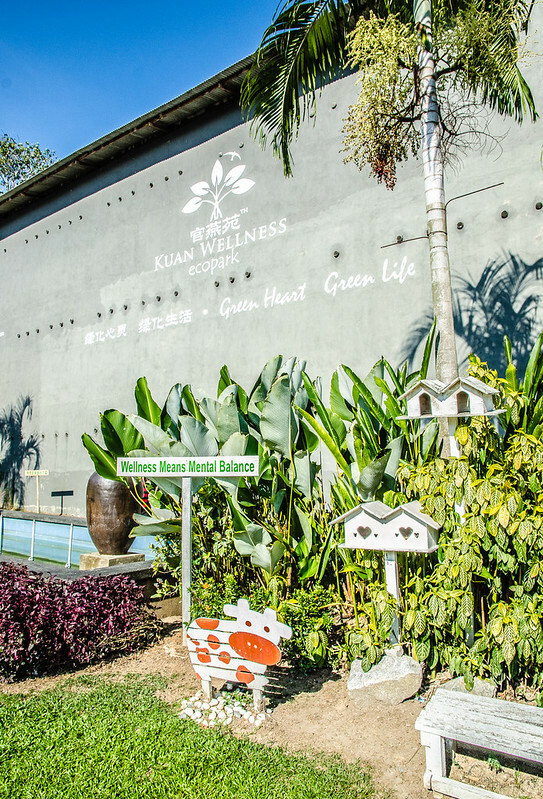 Kuan Wellness is actually a bird’s nests cultivation place with more than 10 years of experience. 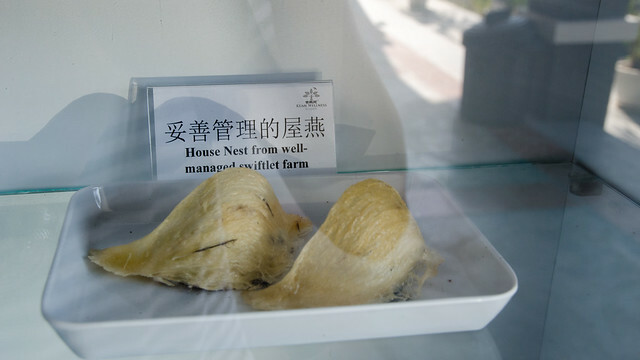 Kuan Wellness also processes the bird’s nests for retailing and exporting them. 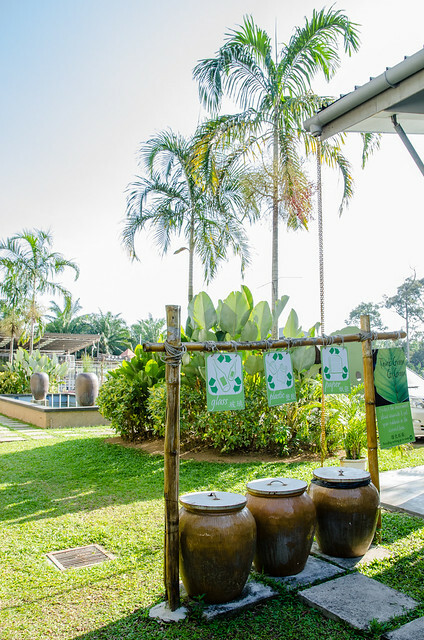 The entrance to the Kuan Wellness Ecopark, Wellness Means Mental Balance. 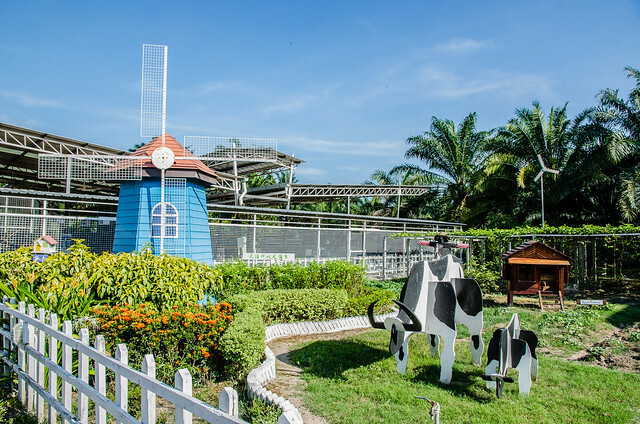 The park in the Kuan Wellness Ecopark featuring a windmill and some wooden cows. There is also a wooden airplane and wooden cows at this park. So this is how a bird’s nest looks like. Another view in the garden of Kuan Wellness Ecopark. This place is very well taken care of. 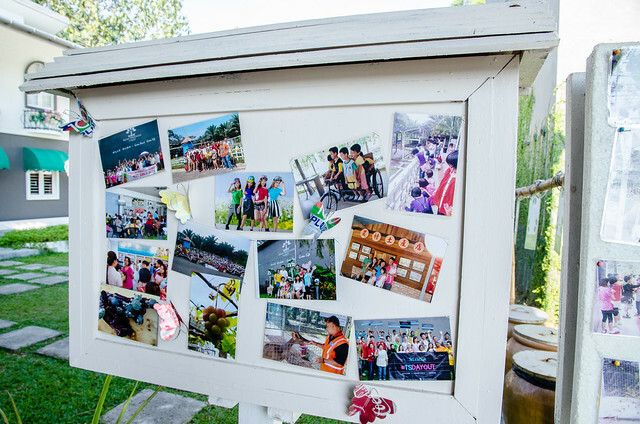 Some of the photos for the activities happened at the Kuan Wellness ecopark, Tanjung Sepat. 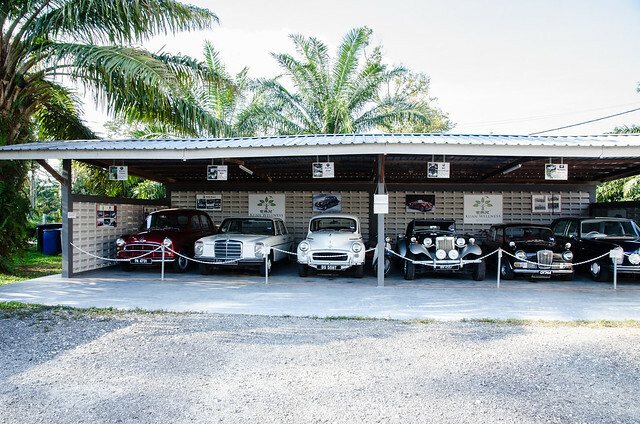 Spotted this row of classic cars at Kuan Wellness Ecopark. 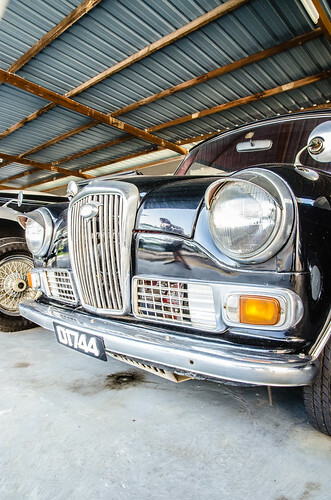 A closer look at some of the classic cars which are also very well taken care of. 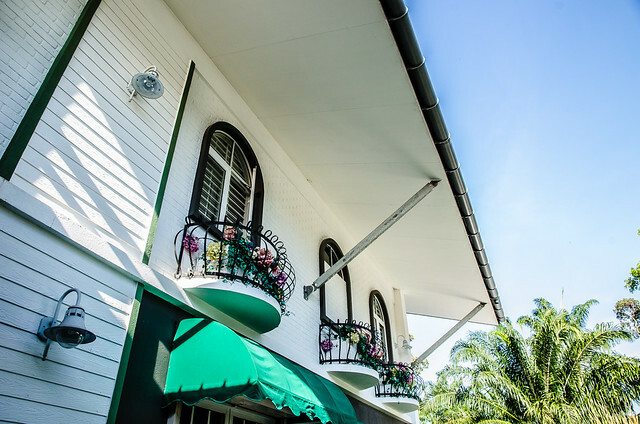 The buildings here are also very nicely built like this one which the local actually came here for wedding photo shoot. 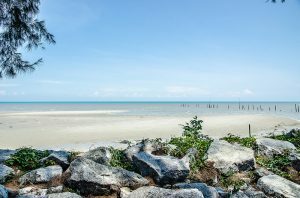 42800 Tanjung Sepat, Selangor, Malaysia. 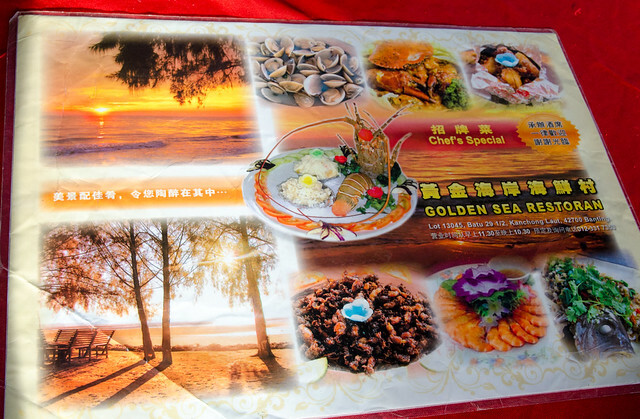 Our final destination at Tanjung Sepat is our dinner place which is the Golden Sea Restaurant (黄金海岸) at Pantai Morib. 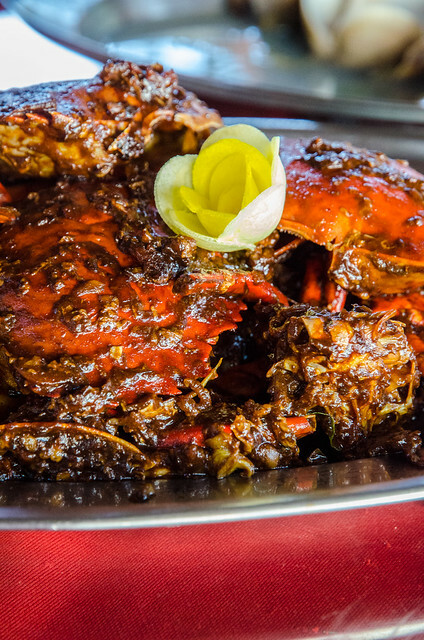 Golden Sea Restaurant is a Chinese seafood restaurant located just beside the beach of Panta Morib and you can enjoy the golden sunset while eating your crabs. A view of the open area restaurant. 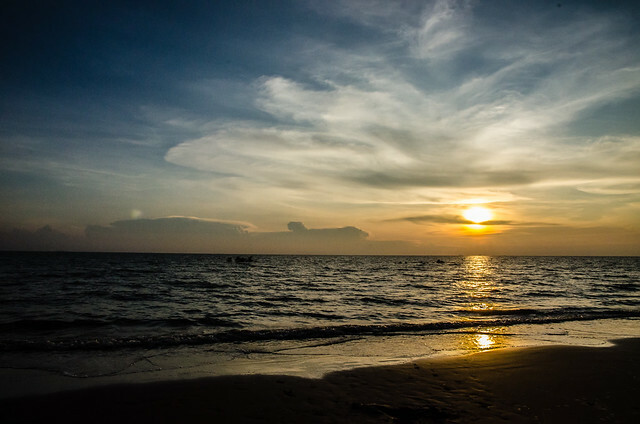 When it get dark there is a lot of mosquitoes, so bring some insect repellent if mosquitoes like your blood. 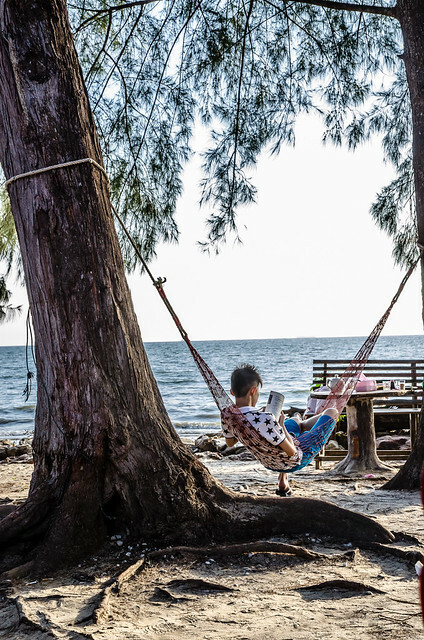 Must be nice sitting here and reading with the sea breeze. We ordered this lala which is fresh and delicious. 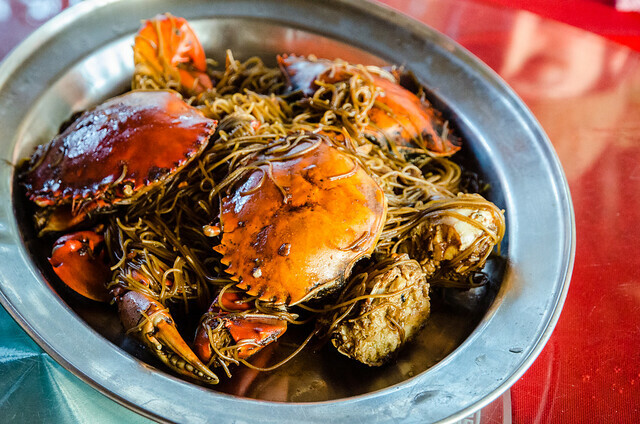 We also ordered this crab bee hoon. Nice but too bad the crab are rather small. 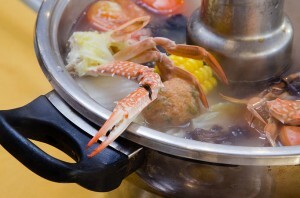 This Kam Heong crab is not really nice for me and the crab is rather small too. Maybe it is not crab season. 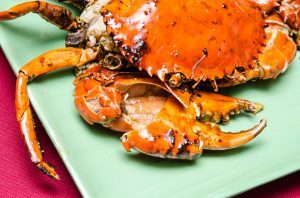 The chef’s special from Golden Sea Restaurant. 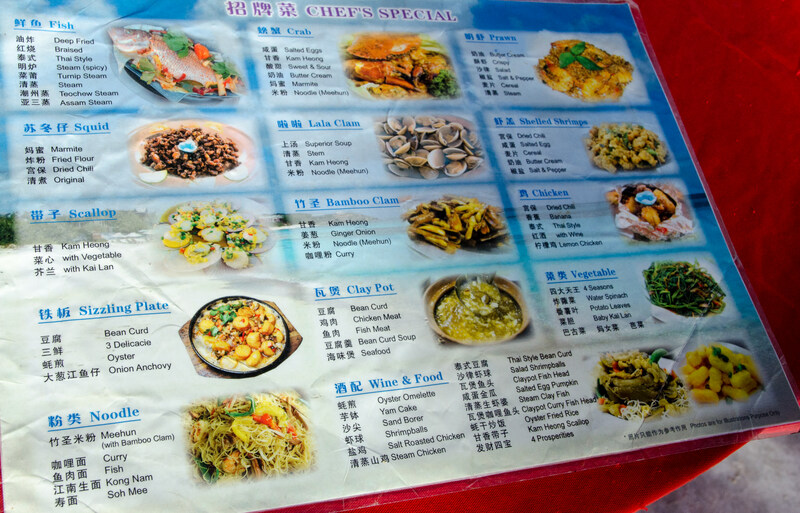 The full menu of the Golden Sea Restaurant. Click here for the full size. The golden sunset view from the restaurant, thus the name Golden Sea Restaurant. Definitely of one the restaurants with best view in Tanjung Sepat. 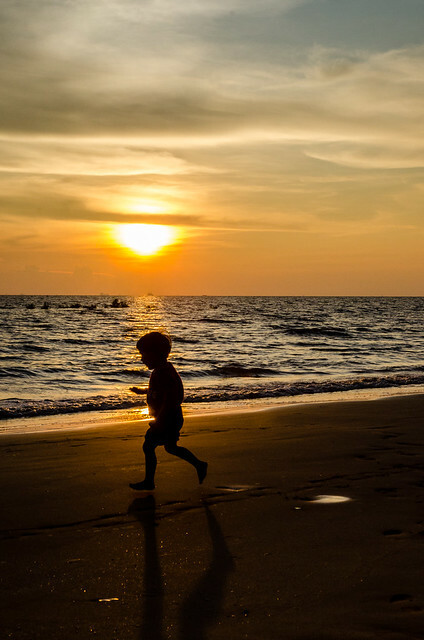 And let me end my Tanjung Sepat blog post with this happy kid running around on the beach. 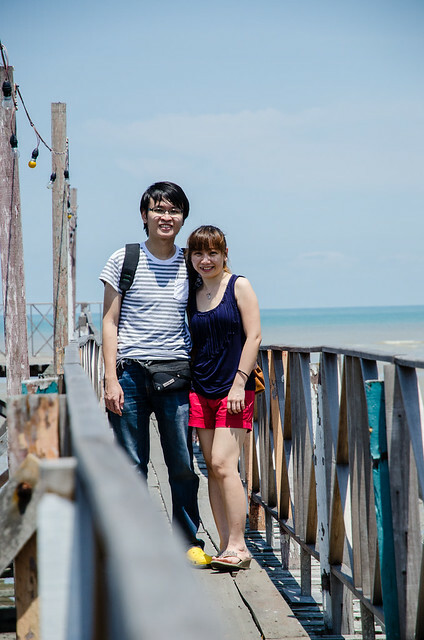 Tanjung Sepat is a nice place to visit for a one day trip especially for the pau / bao and the bridges. 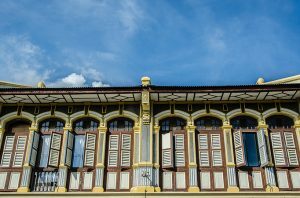 You can also choose to stay overnight at some resort or hotel here such as the Morib Gold Coast Resort and Sepang Gold Coast. I also noticed there is this Hocks House 福苑 homestay which looks nice. Stayed at some of those places? Comment below on your thought. 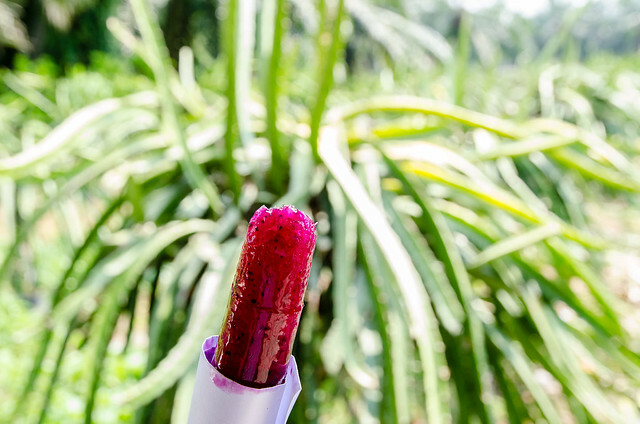 We went to the Multi-Rich Pitaya iDragon Fruit Farm on 5/Aug. The farm is full of paper & plastic rubbish, smelly. The monkeys in the cage are tired, the cage’s floor is dirty & wet with the dragon fruits left over. Thanks for the comment. It will prompt readers to think twice before visiting the farm. I hope you had a wonderful time visiting other places in Tanjung Sepat though. 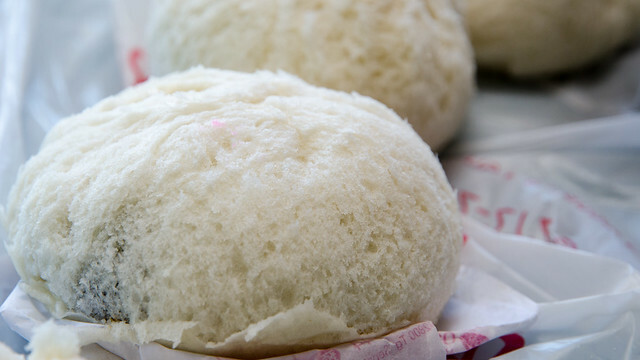 i highly not recommend you all to go to the pau factory hai yew heng..the very last i went there abt 8 months ago,i was waiting in queue to purchase..to my biggest horror…fliessss……. alot of flies hovering on the pau while the staff there were making it..i ran out and vomited…then i pulled my gf’s which is infront of me to stop her from b uying..it is so disgusting. Hope they can improve the hygiene in their pau making. I plan to visit on coming Dec and I search from google it said “permanently closed”. Both are at diff location. Which 1 is the right to visit? Hi Hazel, it is a nice place indeed. 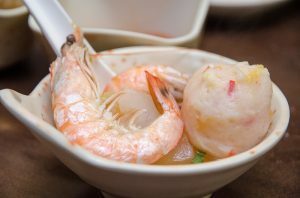 Don’t miss the hand made pao and seafood too. Wow, thanks for a super nice guidelines of Tanjung Sepat’s visits. We are planning to go there too. Thank You. You are welcome. Enjoy your trip to Tanjung Sepat. Thanks for dropping by. I think better give them a call first before going. There are some negative reviews about this place. Suggest to reconsider your visit to this farm. Hope you enjoy your trip to Tanjung Sepat. Hi. Thanks for linking my blog. You’re welcome. Tanjung Sepat is indeed a nice town.